Hello from the Lowell Elementary PTA! We’re excited to send our first email newsletter for 2017–18. Throughout the year, we’ll be sending these occasional updates to the Lowell Elementary parent and teacher community. If you ever have school-related news or events to share, just email lowellparents@gmail.com. In the meantime, follow us online for updates on the latest events and volunteer opportunities on Facebook or at www.lowellelementary.org. Tell your friends! Tell your neighbors! Tell your coworkers! Come dine out at Coastal Kitchen, and they’ll donate a portion of the night’s proceeds to Lowell—plus 100% from some items, like the Moco Loco and rum hibiscus punch. We raised over $2,000 from this event last year. Curriculum Night is a big open house that happens every fall, and it’s a great opportunity to meet your child’s teacher and hear all about what the students are learning. We’ll post more details as we get them on www.lowellelementary.org and Facebook (@lowellelementarypals). The PTA will provide free childcare and food. Simply put, the Lowell PTA is a volunteer group of parents and teachers who try to help our kids any way we can. That happens in a thousand different ways—from shampooing classroom carpets to advocating to the district on safety issues to raising money for classroom grants. It’s a great way to get involved with your school and meet fellow parents. You don’t have to know anything or even do anything, you can just sign up. 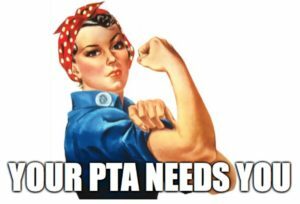 Download the membership form—or if you’re curious and want to learn more, come to the next PTA general meeting. What’s the PTA General Meeting? It’s one of three general meetings all year, and everyone is welcome. The next one is on Wednesday, October 4, at Lowell, with free childcare and food. 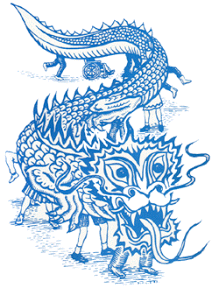 If you are a member (or sign up to become one at the meeting), you can also vote on the annual budget. I joined last year. Am I still a member? No, you need to sign up every year. I would love to help. How do I get really, really involved? Download the membership form to join, and stay tuned to this newsletter and the PTA Facebook page and blog to learn about ways you can help—big and small—all year long. We’ve been working hard to persuade the district to reduce overcrowding and delays on our buses. You can follow the progress so far in Lowell Parents (a Facebook discussion group not connected to the PTA). You can also contact the Seattle Public Schools Transportation Department directly at 206-252-0900 or transdept@seattleschools.org.